For the next two weeks I will be taking some time off with my family rejuvenating. We are vacationing in Disney with our 3 young kids. 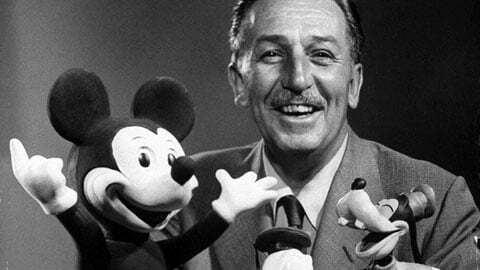 I am always amazed by the visionary and frankly Lean-like thinking of Walt Disney. To that end I would like to share some leadership lessons from Disney that we can all learn from. #1 Foster An Inclusive Environment! Workplace inclusion is making sure that everyone matters and that everyone knows that he or she matters. It is about engaging and involving your team by asking their opinion and making it clear you want to hear their point of view. One of the main responsibilities of Leader is to develop future Leaders. Personally get involved and take time to do the so-called soft stuff really well otherwise your team won’t take care of the hard stuff. Disney defined its approach to inclusion with the acronym RAVE for Respect, Appreciate, and Value Everyone. Organization structure is critical to getting the best results. The most important thing is to make sure that every individual clearly and completely understands what he or she is responsible for, what level of authority he or she has, and how he or she will be held accountable. #3 Make Sure You Have The Right People In The Right Roles! Hiring new people and promoting people to new levels are really important to do well and carefully. Each time you have an opening you have the opportunity to add talent and strength your team. Make sure the candidate has the right level of expertise and experience for the job but also consider how the person will blend in with the current team. #4 Ensure That Employees Are Knowledgeable About Their Roles! Leaders are responsible to train and develop their team members. Education is power. Training and development are two of the best ways to improve self-confidence and self-esteem in everyone. Lead by example - attend all training, communicate best practices, and observe actual conditions and behaviors. The best way to develop people is for the leadership to be actively involved in coaching, counseling, and educating the employees. #5 Make Dramatic Leaps In Service! Make dramatic improvements for customers, employees, and for business results. Great leaders don’t maintain anything. In order to improve things you need to know how good they are. Demonstrate zero tolerance for anything but perfection. Visit other places known for “world class excellence” and see what you can learn. #6 Implement Effective, Structured Processes For Getting Work Done! We have a process for everything. Leaders have the responsibility to identify process problems and opportunities for improvement so that they are not a hassle and that the make sense. Ask the people doing the work and customers using your products or services for their opinion. Spend time finding out what process made things go wrong and change that versus looking for someone to blame. Great Leaders ask “why” a lot. Implement processes that work and follow-up to ensure they are still working. Stay tuned, in the next post I will present another 6 great lessons of a Great Leader.